“Here is a list of fearful things. The jaws of sharks, a vulture’s wings, the rabid bite of the dogs of war, the voice of one who went before. But most of all the mirrors gaze, which counts us out our numbered days”. The days of everyone are numbered. We are here for a brief moment in the space-time continuum so let us make the most of it. My objective is not to necessarily live an amazingly long life but to help others and contribute as much as I can to the world while enjoying as much as I can. I also want to be independent and never a burden on anyone for as long as possible. Retain old friends but also try to meet new people, especially those with similar interests and circumstances. Service organizations such as Kiwanis Clubs have changing memberships and many contacts within the community. They provide opportunities to get involved in worthwhile projects with friends and experience the resulting feelings of satisfaction. The Master Gardener Program of the Extension Service opens the door for meeting many people with the same passion for growing plants. Many churches have their own service clubs, such as the Knights of Columbus, for benefiting humanity. Most of these have at least one thing in common, helping young people develop. This is a noble cause. The youth of today will be the leaders and workers of tomorrow. It is shocking to look at the high numbers of disadvantaged children who stand little chance of succeeding in today’s competitive world without assistance. Others with great potential are held back by barriers like the high cost of college tuition. The “Desiderata”, by American writer Max Ehrman 1927, contains words of pure gold, we have all heard them: “You are a child of the universe, no less than the trees and the stars, you have a right to be here. And whether or not it is clear to you, no doubt the universe is unfolding as it should. Therefore be at peace with God, whatever you conceive Him to be, and whatever your labors and aspirations, in the noisy confusion of life keep peace with your soul”. Being spiritually wealthy can get you through trying times. Without this peace your days can be filled with anxiety. In the book of Isaiah the Bible tells us that if we believe in the Lord we will renew our strength. We will rise up with wings like eagles and will run and not get tired. We will walk on and not become weary. Men and women who are strong and successful through times of adversity have a source of renewing their strength which varies according to the individual. My spirituality is my source of strength. Satisfaction will result from most activities that give monetary returns or are successful in helping others. Most of us have a sport, game or entertainment that will provide pleasure. Some of each category is probably needed. An achievement that provides both satisfaction and pleasure ranks high on the list, but helping a disadvantaged family, which may not provide much pleasure, could provide great satisfaction. An example of an activity that provides pleasure and satisfaction for me is writing articles for Infobarrel. Writing is pleasurable and having the article published gives great satisfaction. Another example is hiking in a nationally known destination such as the Grand Canyon. It provides pleasure of beautiful scenery and the satisfaction of achieving the strenuous goal of the hike. “Beyond a wholesome discipline, be gentle with yourself,” (another quote from Desiderata). Most of us have memories of “biting off more than we can chew” and failing at something we were counting on, resulting in dire consequences. The stress in these cases can be harmful and can speed up aging. As old age approaches the most dangerous or challenging ventures perhaps should be curtailed. Of course some feelings of stressfulness are needed to gear us up to meet the demand for alertness. Stress tolerance varies with the individual. Healthy spiritual strength can increase stress tolerance. There are plenty of exceptions where old age was challenged successfully. President Ronald Reagan comes to mind as an example. Another example of a leader who bravely overcame an appalling handicap, aging and failing health is President Franklin Delano Roosevelt, portrayed on television in the Ken Burns special in 2014. The right amount of challenge will vary with our personalities and our abilities. Choose your battles carefully. If you expect to live long and with good health, try to get in the best physical shape possible for your body type. This will vary according to your genetics and your health history. If you are basically healthy, good physical condition is usually possible but requires consistency in following good health habits. This includes eating regularly and wisely with good nutritional choices, getting adequate hours of sleep and being active. The part about being active can be assisted by an exercise routine. One of the first steps before starting is to consult with your doctor to determine how much exercise is suitable for your state of health. Proceed only to the extent recommended by your doctor. For good results the exercise routine requires dedication, persistence, will power, study of exercise techniques and careful monitoring of what your body is telling you. If you overdo it you will become injured and/or burned out and will have to stop. If you don’t push yourself enough you will not make progress. It is very important to maintain the balance between too much and not enough. When that balance is achieved the reward is a pleasurable feeling that makes it all worthwhile, and a long term benefit that stays with you. The objective is to increase your aerobic capacity or “VO2 Max levels” (maximum volume of oxygen utilized) which is a measure of the ability of your lungs to use oxygen. I recommend Yoga as a means of conditioning to prepare for aerobic or muscle building exercise and as a supplement to be practiced together with all of your ventures in connection with being active. The practice of Yoga originated in India thousands of years ago. Volumes have been written on the practice which has objectives of educating the body, mind and spirit. The physical aspect consists of poses designed to stretch and strengthen muscles and teach you proper breathing. Many of the poses challenge and develop your balancing skills which tend to decrease as we age. Fear of losing balance and falling becomes a great concern (and a nightmare) for many older people. The hazard is real and reducing the risk is well worth the effort. The human body has evolved from a time when strenuous activity was absolutely necessary for survival. We had to be in good shape to escape our enemies or to find food. Today survival depends more on mental abilities but our organs and cardiovascular system are still designed for the previous eras dating back thousands of years in the past. The heart, lungs and muscles work better when used regularly and vigorously. However, if they have been neglected they need to be conditioned gradually. Free weights have been a mainstay for muscle building for decades but other devices are now common, designed to be more effective than the barbell and the bench press. 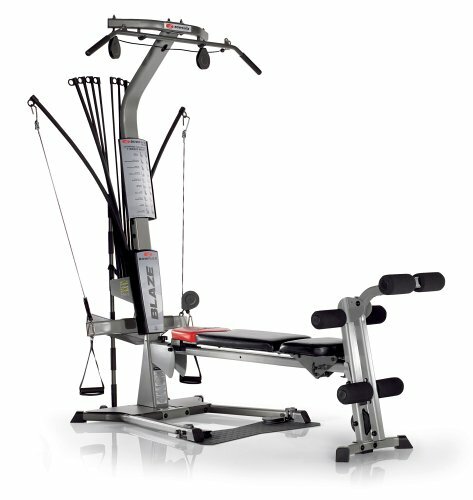 I recommend one of the Bowflex devices as a means of exercising nearly all of the muscles in the body in a flexible manner that tires you with less strain on the joints and tendons. However there are many other types with good success records. Aerobic exercise is a must for properly strengthening the heart and lungs and improving the vascular system in general. In aerobics the heart and lungs are utilized vigorously so that they become more efficient and have a greater capacity. You can increase your respiration and heart rate by walking fast, especially going uphill. Also, exercising the upper body vigorously can achieve a similar result. However, the most efficient aerobic exercises include running, cross country skiing, cycling or use of the treadmill, elliptical trainer or other mechanical devices that include the lower body. A common objection to running as a sport is the wear and tear on your joints and tendons and the jarring of your whole body as you stride. The jarring effect can be reduced by concentrating on running smoothly. When I started running I had problems with my knees, hips and ankles. I decided to do leg strengthening exercises of the quadriceps, hamstring and calf muscles. I was amazed that the joint problems seemed to disappear very quickly. I believe the strengthened leg muscles stabilized the joints, making them work more efficiently. I was able to enter road races and occasionally place or win in my age group even though I have never been a really fast runner. The age group awards are a feature of road races that many other sports do not have. I chose running as my main aerobics exercise over using the machines, except in bad weather. (If it is too cold or wet I use my elliptical trainer, but you could run on an indoor track or mall that allows it). Running in road races provides the incentive to train that many alternatives do not have. I enjoy participating because of the satisfaction I get from placing in my age group. This is an activity that has pleasure as well as satisfaction, a double benefit (see my third way described above). This can also be a low stress activity if you approach it with the right attitude (fourth way described above). You do not have to be a track star or super fast athlete to be recognized when you compete with those of the same age. This is especially true as you get older because there are not as many people in the older age groups. In conclusion, there is a common bond among those in the oldest age group who follow the ways I have described. The “mirror’s gaze” cited in the poem “counts us out” a much larger number of quality days to live, because we have been active. Our fear of growing old can be lessened if we know we have stayed connected, maintained our spirituality, searched for pleasurable activities, avoided taking on too much stress, and have taken good care of our bodies. I found this book to be very informative with some reminders of long ago and some new information. A.J. Holman New American Standard Bible. La Habra, California: The Lockman Foundation, 1977. 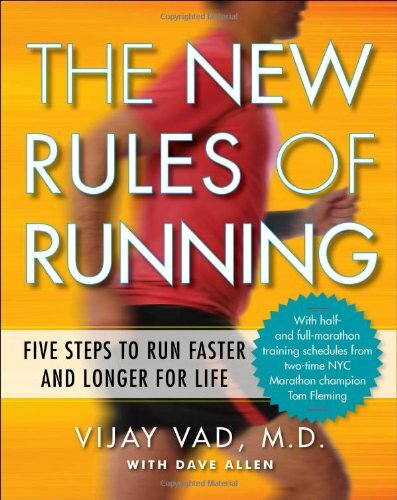 Vijay Vad, MD with Dave Allen The New Rules of Running. New York, New York: Penguin Group (USA) LLC, 2014. Dr. Abigail Ellsworth Anatomy of Yoga. Buffalo, New York: Firefly Books (US) Inc., 2010.